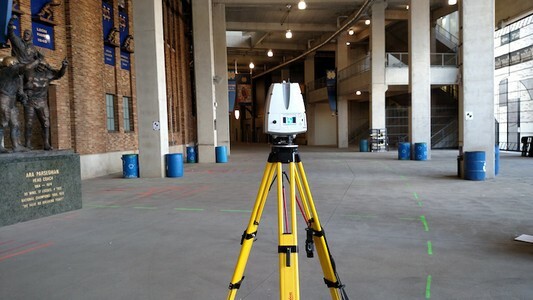 TruePoint Scanning and Ground Penetrating Radar Services (GPRS) collaborate to provide the customer with a valuable view of a structure, both visible and invisible. 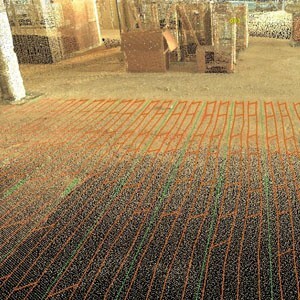 GPRS locates underground utilities, or rebar and post-tension cables embedded in a structure, and mark their findings directly on the concrete. 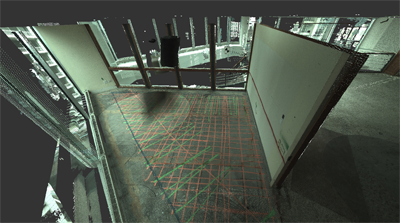 TruePoint’s scan technicians scan these markings, and our in-house engineers create a 3D CAD model showing the locations of GPRS findings, combined with the details of the surrounding columns, walls, floor, and ceiling. 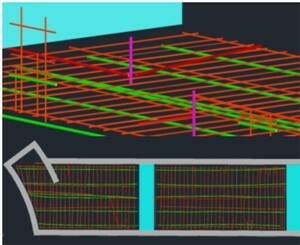 This pairing provides a permanent record of both the visible and invisible, and our customers avoid costly design changes and expensive, time-consuming repairs to the post-tension cables and rebar embedded in the concrete. 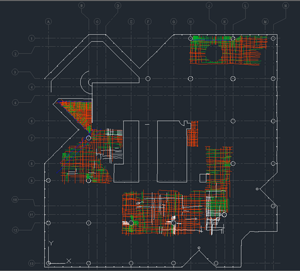 Because both Truepoint Scanning and GPRS value customer service, they look at this pairing as a way of enhancing the individual benefits for their clients, giving them additional, useful information. They work closely with their clients, around the entire country, to provide a high level of service, delivering the data the way that their customers want it delivered. 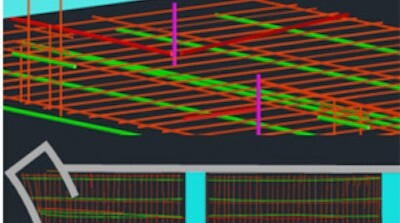 Detailed view of rebar (orange), post-tension cable (green) and electrical conduit (red & purple) in 3D model. 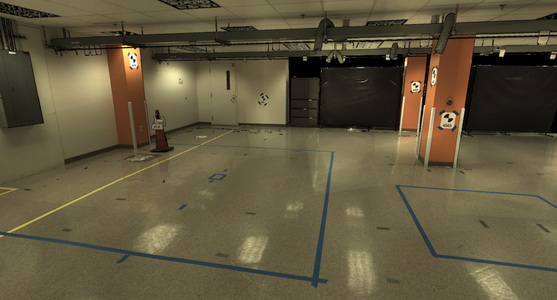 Colorized Point Cloud capturing GPRS's findings & the surrounding environment. 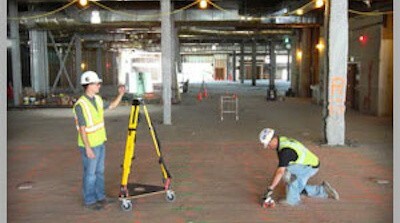 Photo of GPRS and TruePoint technicians documenting findings.